This is what me and my Mum eat in her kitchen when I’ve driven to Glasgow to see her. Usually I’m too greedy to wait for dinner. So she delves into her freezer and shallow fries a couple of these, sticks them in a roll or bun, with loads of ketchup – and I’m in heaven. Nothing tastes as much like home as these kebabs. The secret is the ‘salsa’. 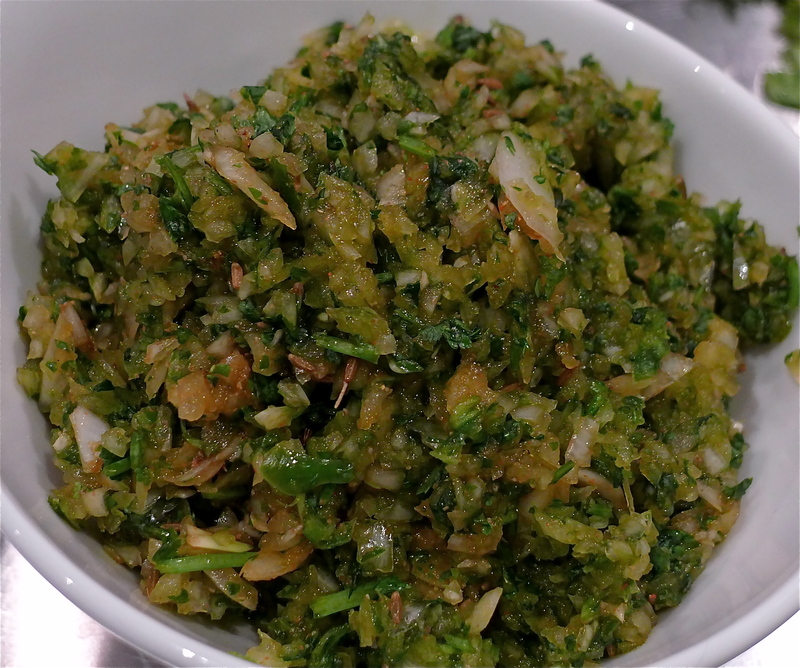 A full-on mix of onions, coriander and spices is whizzed up in a food processor and mixed with the minced chicken. It’s such an easy recipe. For such great rewards. Super spicy. You can eat them in a toasted bun or with rice and yoghurt. I shouldn’t really give the secret away.. but I’m feeling generous! Watch how to make them by clicking below. Blitz all the ingredients, except the chicken, the oats and the breadcrumbs, in a food processor until they look like a salsa. In a large bowl, mix your minced chicken with the salsa. Use your hands to get a good mix, or use a fork. Then add the oats and the breadcrumbs. You decide how much you need of the breadcrumbs. You want the mixture to stick together when you fry it, but not to be too grainy. Cover the mixture and leave it in the fridge for at least 30 minutes – more if you want – for the flavours to infuse. When you’re ready, shape them into flat discs – I suggest about 6 cms in diameter, but not too thick – about 1-2 cms thick. This quantity should make about 16 kebabs. Fry them in batches in a tablespoon of oil, slowly on a low heat, so they don’t burn. 10 minutes on each side. 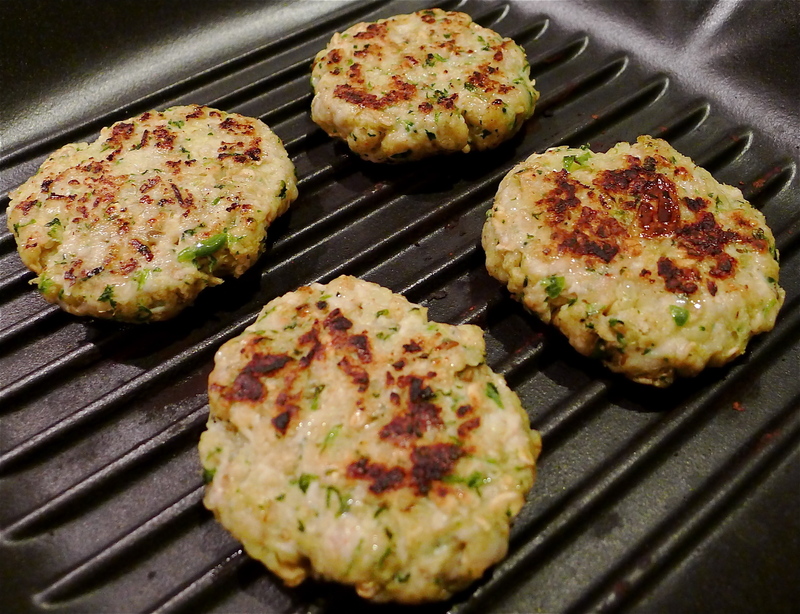 Make sure the chicken is cooked through, and the surface of the kebabs is golden brown. Eat in a sandwich with loads of chutney or ketchup, or with muttar pilau (rice and peas) and cold yoghurt. 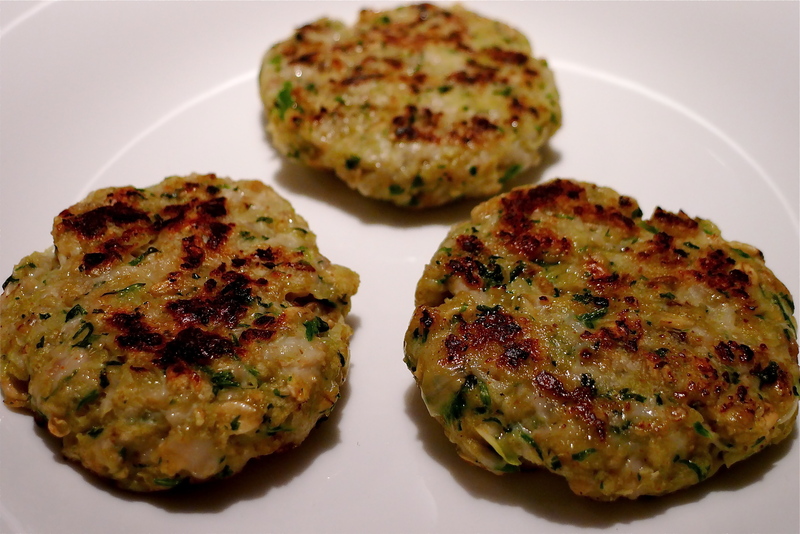 Shape and fry one kebab and then taste it. Then you can tweak the remaining mixture. Add salt or chilli. Then fry them all. Also, if you can’t eat 16 kebabs at once (! 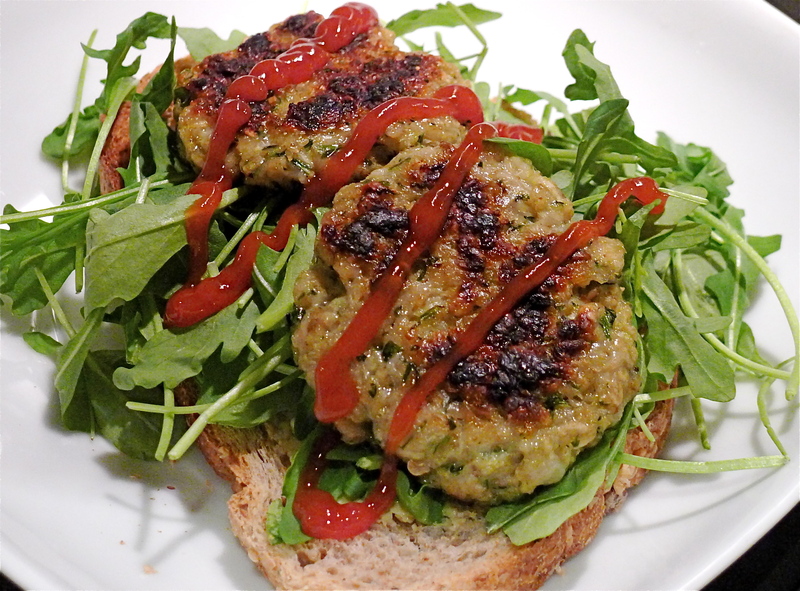 ), shape the raw mixture into patties and freeze them. Defrost them in the fridge and fry them up when you fancy them. Always wash your hands and any surfaces after using raw chicken. And please make sure the chicken is cooked through – no pink bits!